Basketball was coming back to Fort Wayne. This announcement, met with approval from a city looking for revival of Indiana’s homegrown sport, signified the return of basketball to Fort Wayne, an entertainment outlet so absent since the sale of the Zollner Pistons in 1974 and the cessation of the CBA’s Fort Wayne Fury in 2001. Next on the premature timeline for the newly founded Fort Wayne Mad Ants was the announcement that the NBA would pair the Mad Ants with the Detroit Pistons and Indiana Pacers, allowing both teams to assign players in their first two seasons to play in Fort Wayne. In the organization’s first ever “Take Off to the NBA” Mad Ant Open Tryout, more than 70 basketball hopefuls traveled from around the country to be a contribution to the team’s inaugural season. The future “Mr. 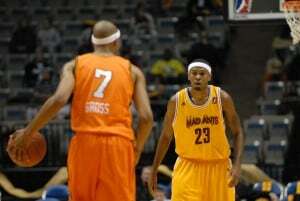 Mad Ant,” Ron Howard, who was then fresh off his playing career at Valparaiso University, attended those open tryouts to begin his Mad Ants career. Coached by lead man Kent Davison, who spent time as head coach for the Colorado 14ers and assistant coach Jaren Jackson, the duo led the first year Mad Ants to a NBA D-League fourth place spot in the Central Division with a record of 17-32. 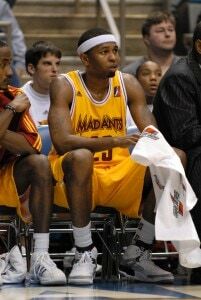 Jeremy Richardson was selected second overall in the 2007 D-League Expansion Draft by the Mad Ants. In his time in Fort Wayne, Richardson was selected to the 2008 NBA D-League All-Star Game where he later was named the game’s MVP with his 22 point performance for the Blue Team. Earlier that season, he checked in as a D-League Performer of the Week for the week of December 3rd, where in a two game span, he averaged 35 points, 6.5 rebounds and 4.0 assists. 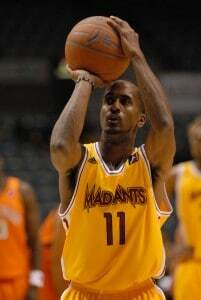 Richardson became the first Mad Ant to receive an NBA Call-Up; he received 10-day contracts from the Memphis Grizzlies, San Antonio Spurs, and the Atlanta Hawks. Earl Calloway received All D-League Honorable Mention through his one season with Fort Wayne; Calloway averaged 19.3 points, 5.1 rebounds and 5.7 assists. 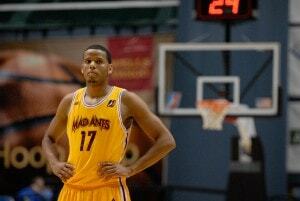 Sammy Mejia, who was drafted by the Detroit Pistons and eventually waived, played with the Mad Ants and was a recipient of the D-League Performer of the Week honors just three weeks after teammate Jeremy Richardson. He ended his career with the Mad Ants, averaging 19.7 points and 8.4 rebounds, to then play with the Greek Basketball League. The moment I heard of this organization when sitting at a game, I knew this was something special. I’ll never forget the first time I saw a picture of a missing child on the jumbotron of the game vs. New York… it was absolutely ingenious. This is a life saving and life changing organization led by Dennis Bair. Wow. Dennis Bair’s organization can be summed up in 2 words: REMARKABLE EFFORT. This is a viable and absolutely important way to find children that go missing. The wave of the future begins with BAIR FIND. I don’t have to say much but give it up to the boys over at BairFind that are going to make our lives far more meaningful. Thank you!